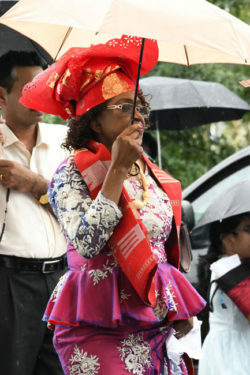 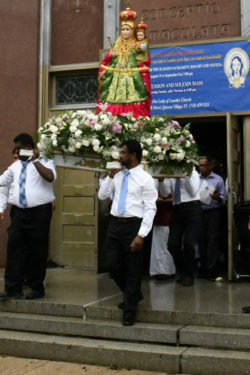 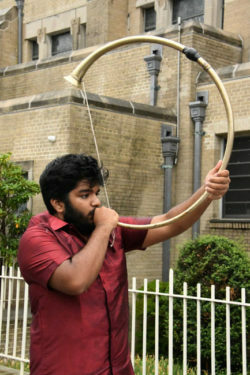 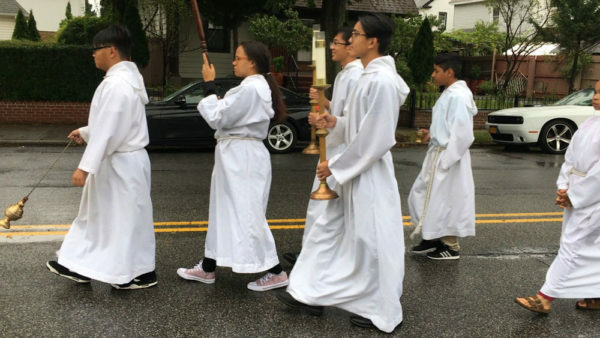 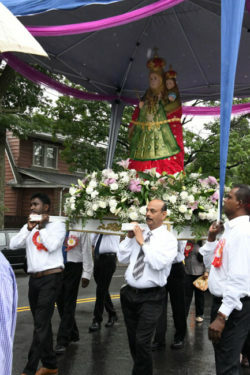 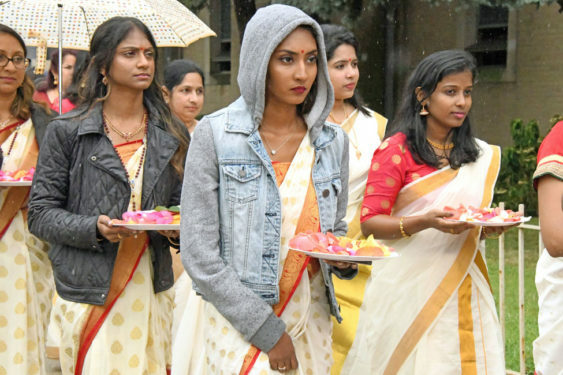 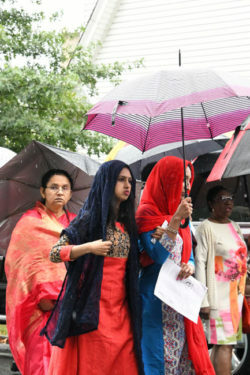 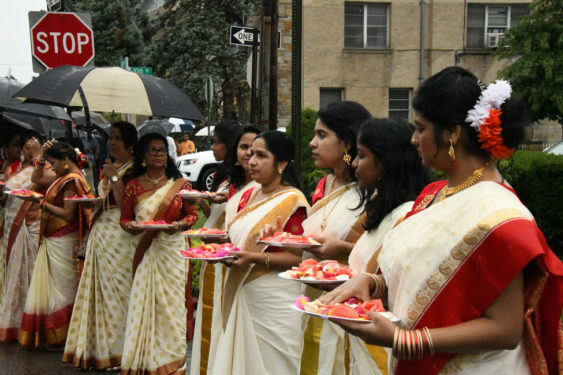 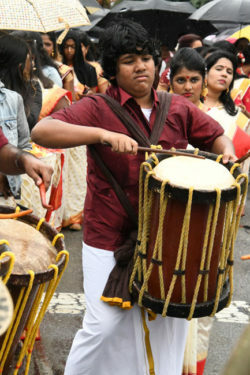 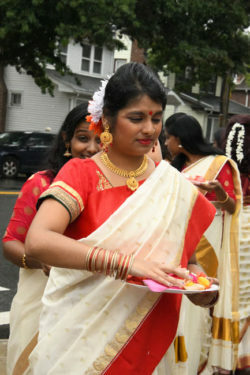 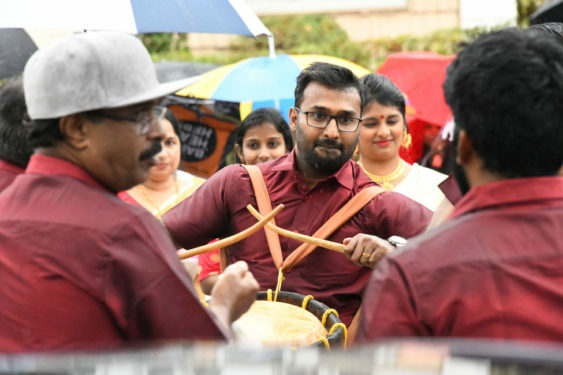 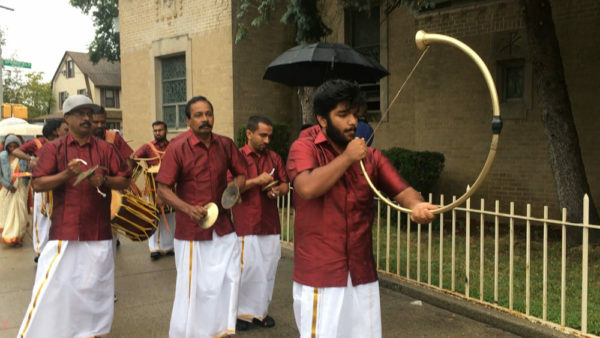 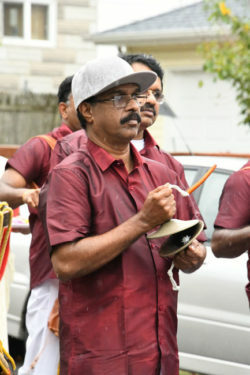 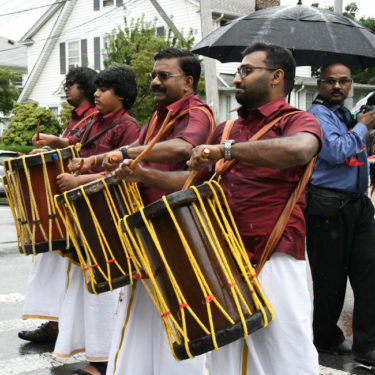 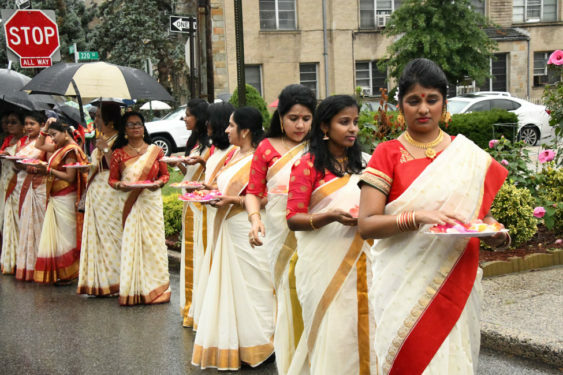 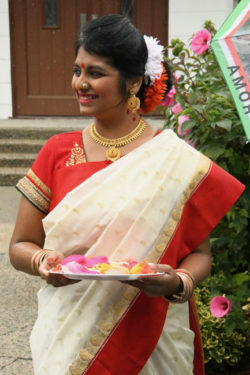 Under drizziling rain, a Marian procession went through the streets of Queens Village playing traditional Indian musical instruments and singing hymns to the Blessed Virgin on Sunday, Sept. 9. 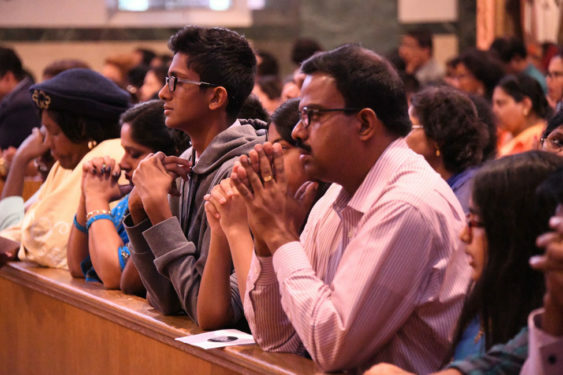 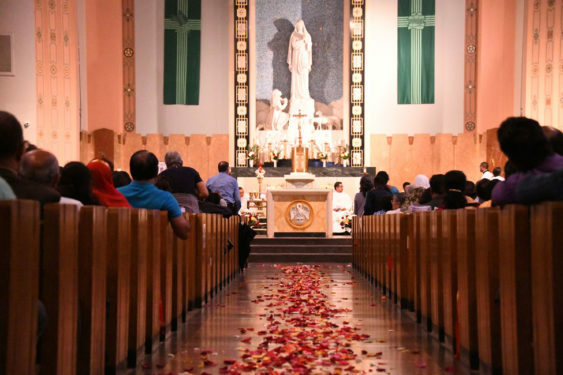 Some 700 faithful came to Our Lady of Lourdes parish to celebrate the feast of “The Lourdes of the East” – Our Lady of Velankanni. 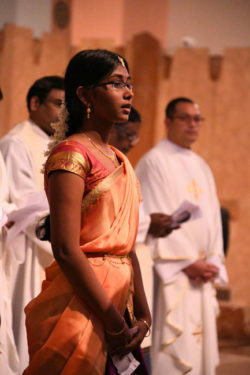 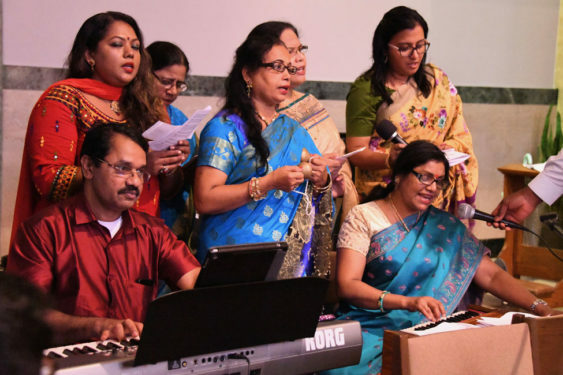 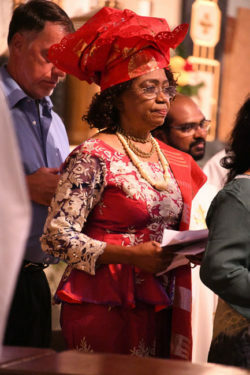 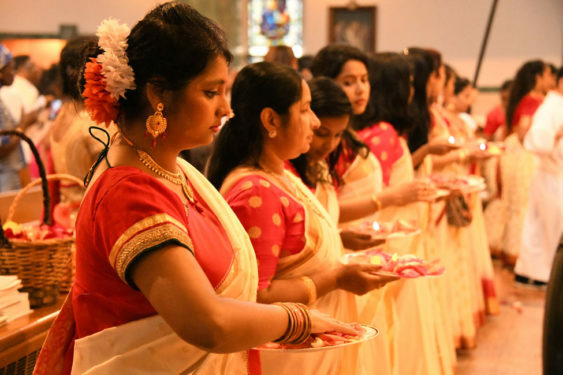 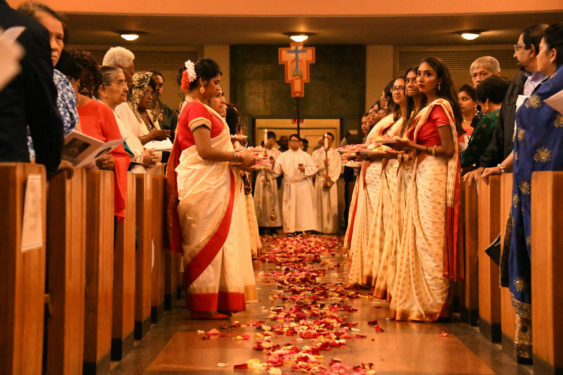 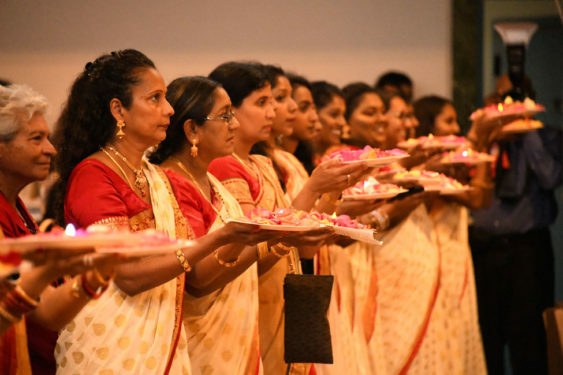 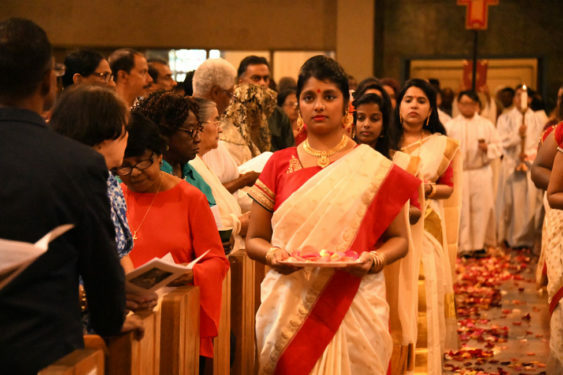 It was a celebration of the diocese’s growing Indian Catholic community. 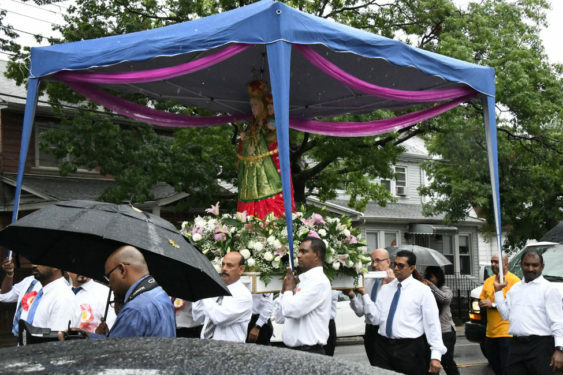 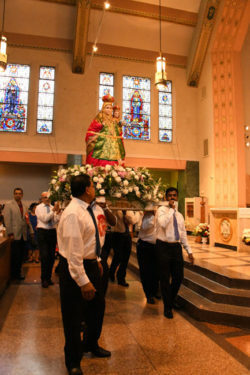 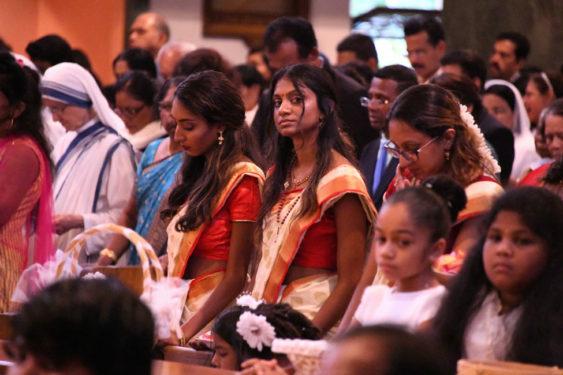 “Our Lady of Velankanni, or Our Lady of Good Health, is very famous in India,” said George Sam, a parishioner who emigrated from India to New York 28 years ago. 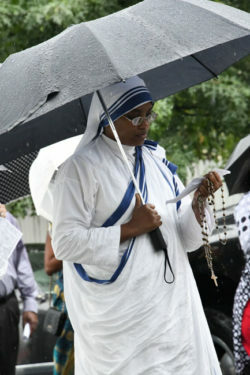 Velankanni is a town in the Indian state of Tamil Nadu. 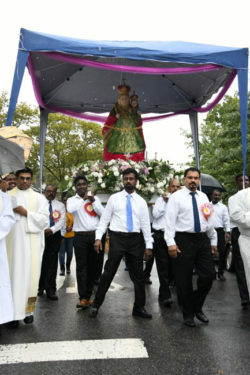 According to oral tradition, the Virgin appeared twice in Velankanni during the 16th century and once in the 17th century. 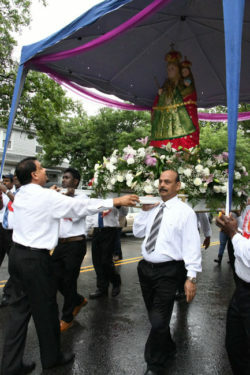 The local shrine to Our Lady of Velankanni is one of the most visited Catholic sites in India. 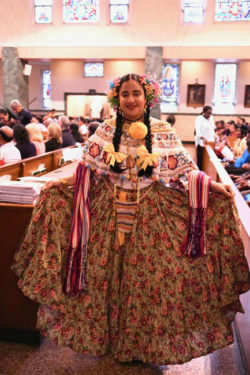 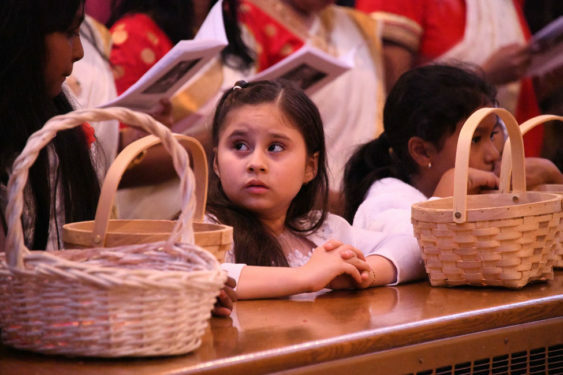 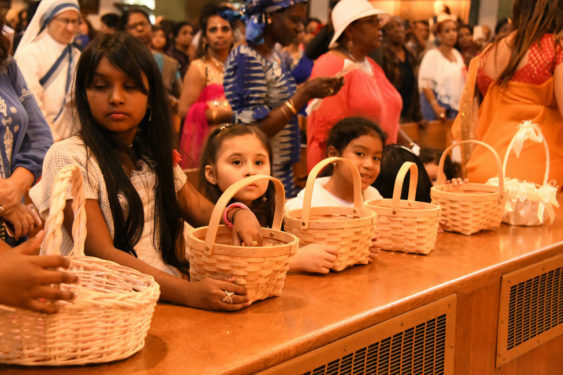 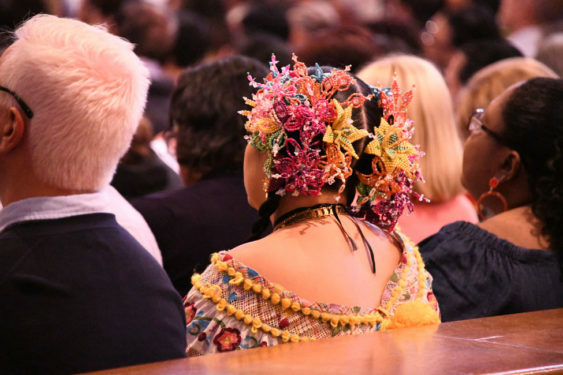 “All the communities, all the cultures within the parish are celebrating her feast,” said Angelica Taveras, youth ministry coordinator at Our Lady of Lourdes parish. 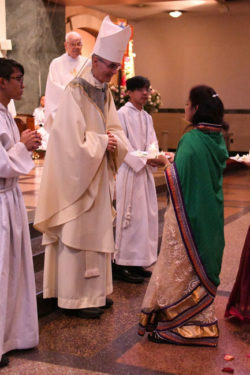 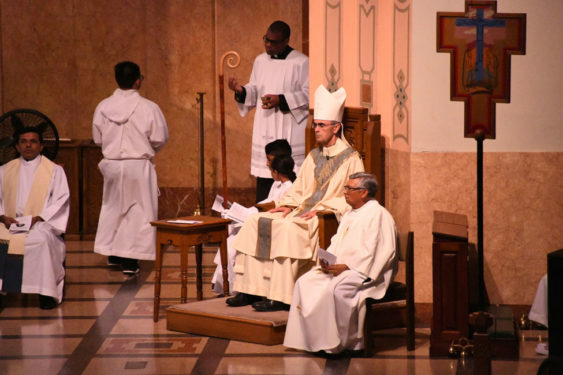 Auxiliary Bishop Paul Sanchez was the main celebrant and homilist at a Mass concelebrated by Father Patrick Longalong, pastor; Father Robert Ambalathingal, coordinator of the Indian Latin Apostolate; Msgr. 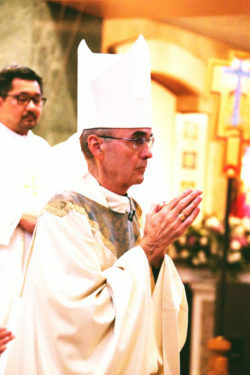 John F. Casey and several other priests from the diocese. 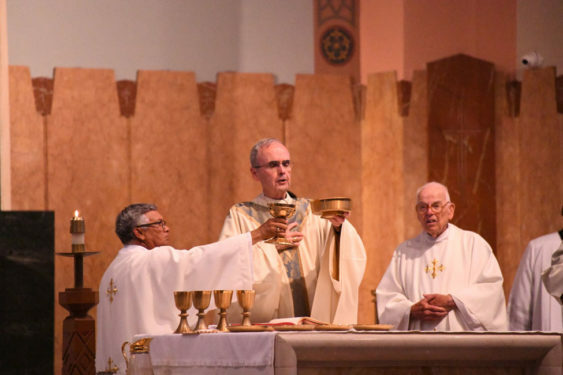 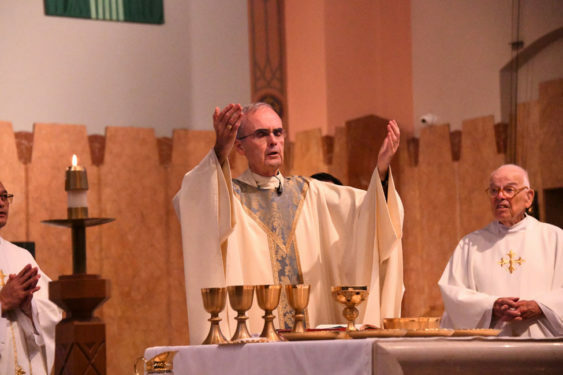 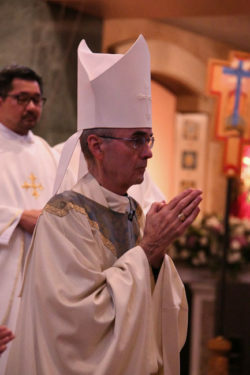 “It is a privilege for me to join with my fellow clergy, with all of you, to celebrate your devotion to Our Lady, to recognize her special place in our lives as Catholics and Christians,” Bishop Sanchez said in his homily. 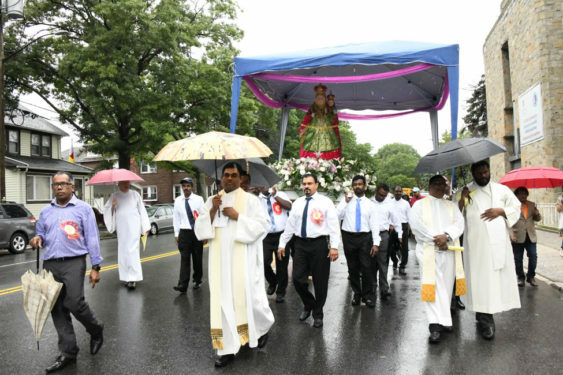 The Sunday Mass and procession were the culmination of a novena in honor of Our Lady of Velankanni. 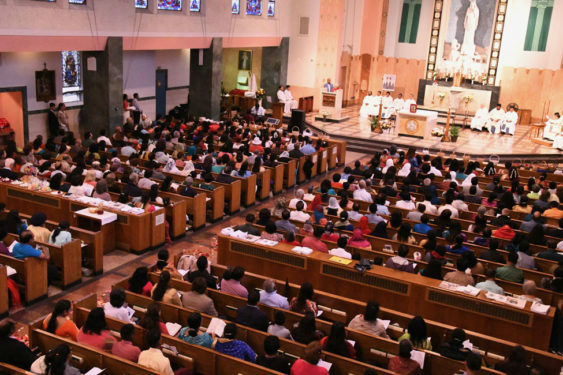 “Each night we had more than 200 people here,” said Taveras. 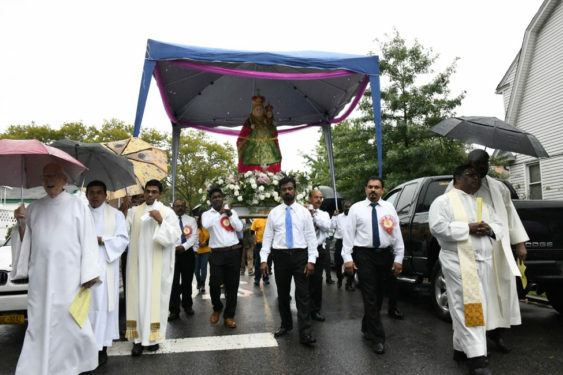 “And every night of the novena, the statue of Our Lady of Velankanni was dressed with a different saree donated by different members of the community. 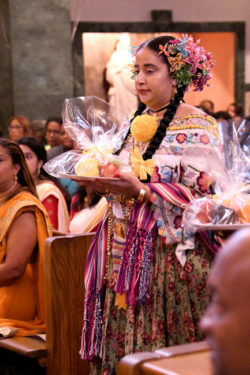 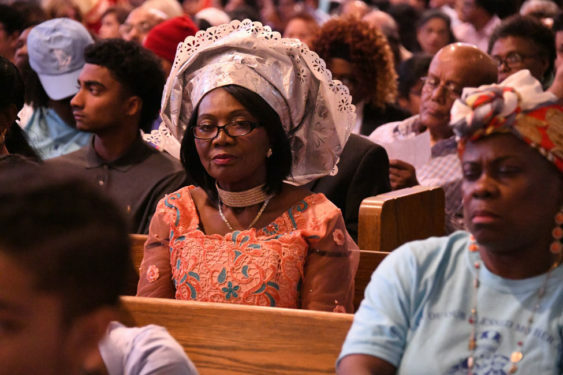 “Our Lady of Velankanni now has devotees among the Haitian, Latino, Filipino and West Indian communities of the parish,” Taveras said. 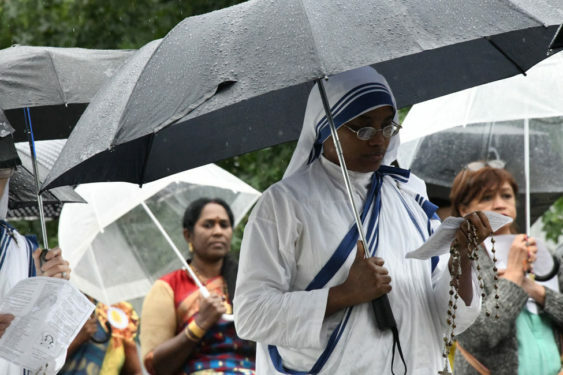 This shows us our faith in our Mother, rain , sun or Snow we brave it through, May she always continue to bless us and intercede for us to her son the Lord Jesus Christ . 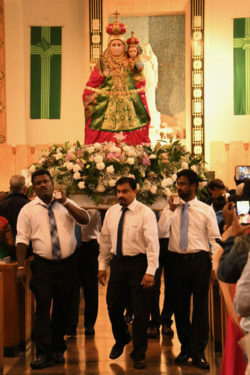 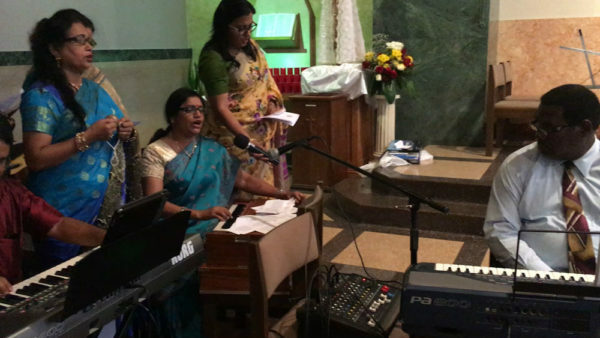 Would you please send us a video of the celebration of the Feast of Our Lady of Velankanni in Queens Village, NewYork-2018? 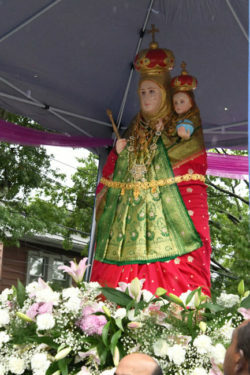 We would be blessed and very thankful if you would help us to see Our Lady of Velankanni. 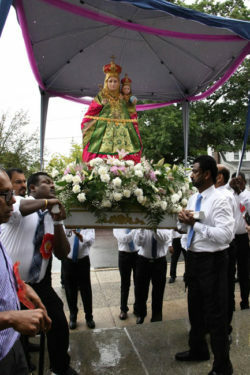 Our Lady of Velankanni – Pray for us.